The Liberty 2-1/2 in. Lancaster Traditional Bail Pull is made of metal for durability and features an attractive Lancaster finish to help enhance your existing cabinetry with a traditional look. Mounting hardware included for easy installation. The Liberty French Romantics 3 in. Satin Nickel Double Beaded Pull adds traditional style to any home decor. The classic design and elegant finish accent drawers or cabinets. Comes with 8-32 in. x 1 in. machine screw. 2-1/2 in. Traditional Bail Pull The Liberty 2-1/2 in. 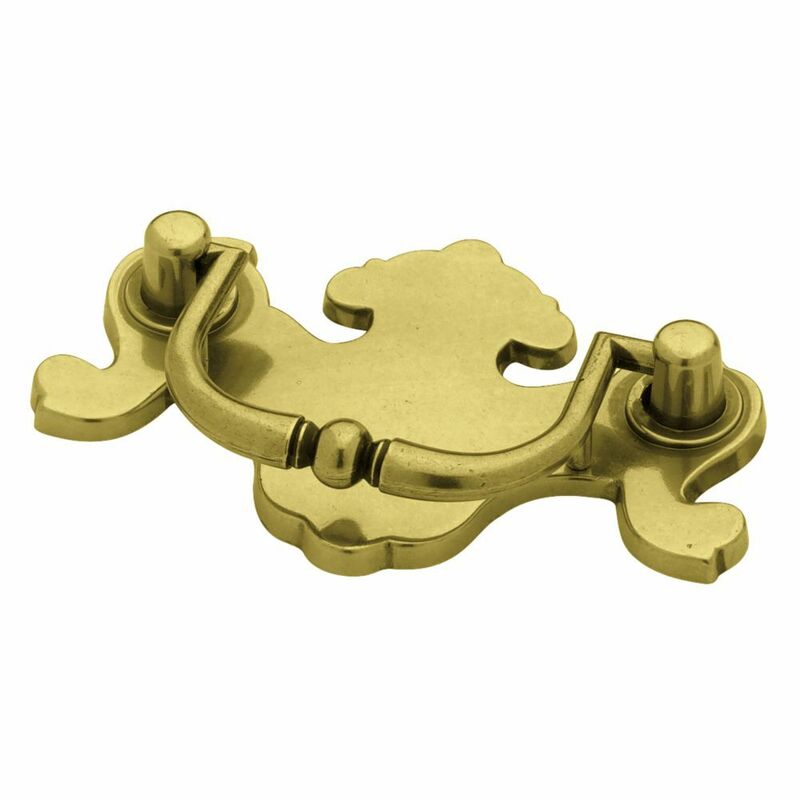 Lancaster Traditional Bail Pull is made of metal for durability and features an attractive Lancaster finish to help enhance your existing cabinetry with a traditional look. Mounting hardware included for easy installation. 2-1/2 in. Traditional Bail Pull is rated 4.8 out of 5 by 6. Rated 5 out of 5 by Wayne from I'm very impressed with the quality of the product. ... I'm very impressed with the quality of the product. I needed to replace a similar drawer pull on my dresser since the handle had snapped. I purchased two in order to replace and match that particular drawer. What I received was an even better quality than the two I wound up replacing! Very satisfied with my purchase! Rated 5 out of 5 by Craig from Very nice. High quality look and feel.... Very nice. High quality look and feel. Rated 5 out of 5 by Fred from The draw pulls were very high quality. The display... The draw pulls were very high quality. The display at the store was terrible because the item numbers listed could not be used to order the draw pulls on the website. I had to drive back to the store, take a picture of the item I wanted and email to a customer service rep to place my order.